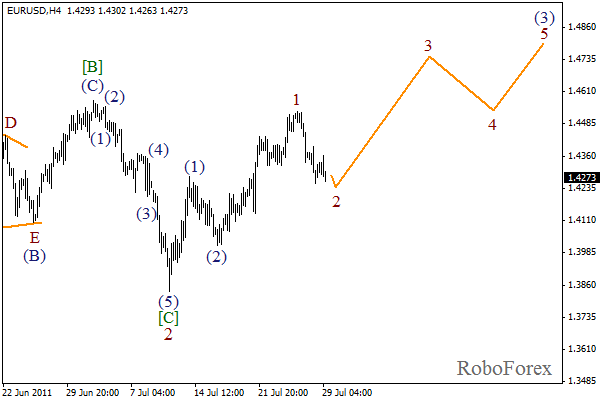 At the daily chart we can see the extension in wave (3) with the third wave inside it. On the minor wav level wave  of 3 is being formed. At the moment we have no reasons to consider the reverse of an existing trend. The forecast will remain bearish for the next several days. 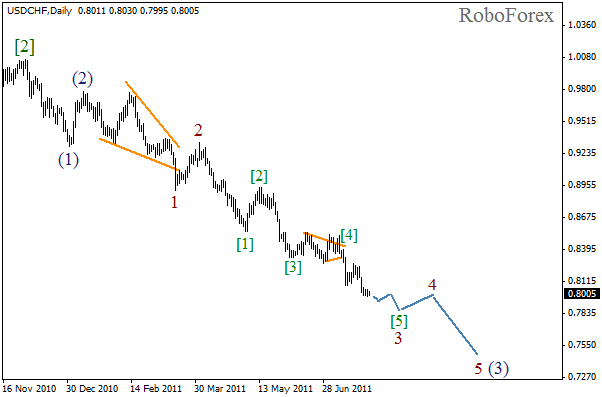 The final target of wave (3) is at the level of 1.75. At the H4 chart we can see that after the horizontal triangle pattern has been completed, impulse in wave  is being formed with the third wave inside it. The third wave is about to be finished soon. The correction may start in the beginning of the next week, as well as the price may continue falling down. It looks like wave 2 has been completed in the form of zigzag pattern with a long wave [B] inside it. Initial wave  is being formed at the moment. The price may grow during the next several weeks while forming this impulse. 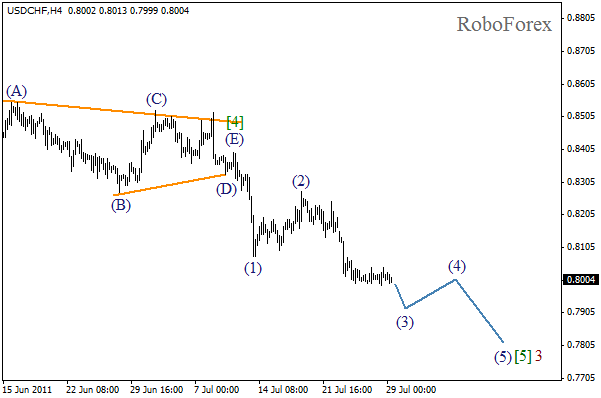 Yesterday’s descending price movement forced us to change current wave markings. We may assume that the extension in wave (3) is being formed right now. On the minor wave level we can see the formation of the second wave. 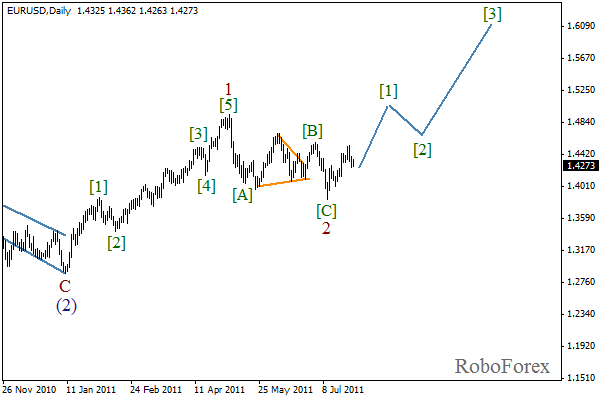 In the near term, we can expect this correction to be finished and the price to continue growing inside wave 3 of (3).